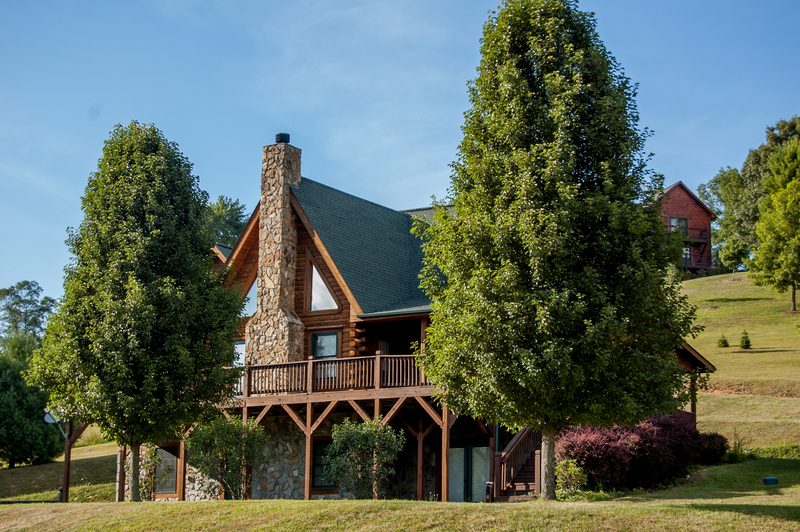 Serenity, beauty, and a park like mountain setting offer the ambiance and comfort that perfect your Blue Ridge vacation. This spacious cabin is bright and immaculate, and loaded with special features. 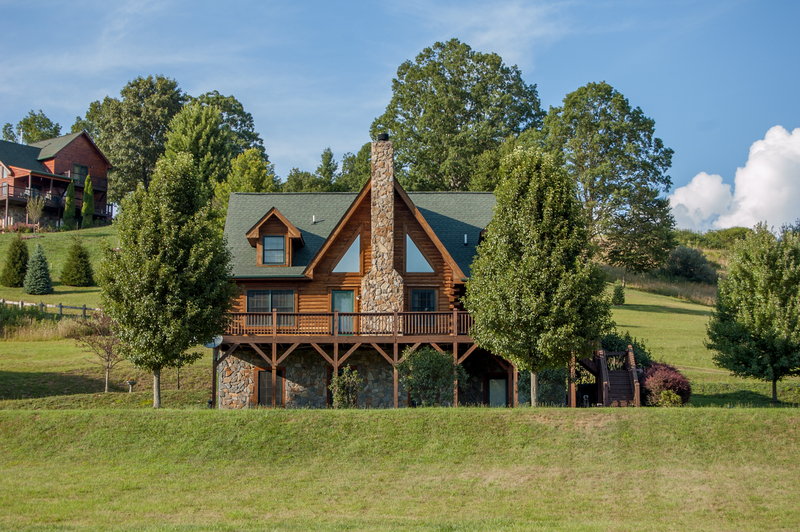 If you're traveling with your family or several friends, this is the home for you! There are not only plenty of beds and bathrooms, but also two separate living spaces - with two TVs! The open floor plan with vaulted, beamed ceiling encourages entertaining, while the extra spaciousness offers everyone a chance to relax in privacy. 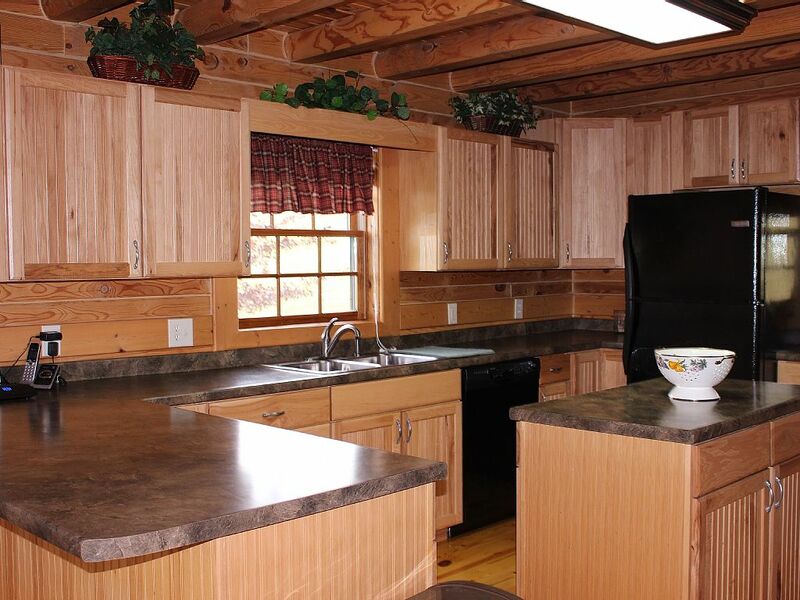 The large kitchen is airy, updated and well-stocked with all the kitchenware and supplies you'll need. Unwind at the end of an eventful day in front of a cozy fire in the gorgeous rock fireplace. Or take the party outside to the fire-pit! 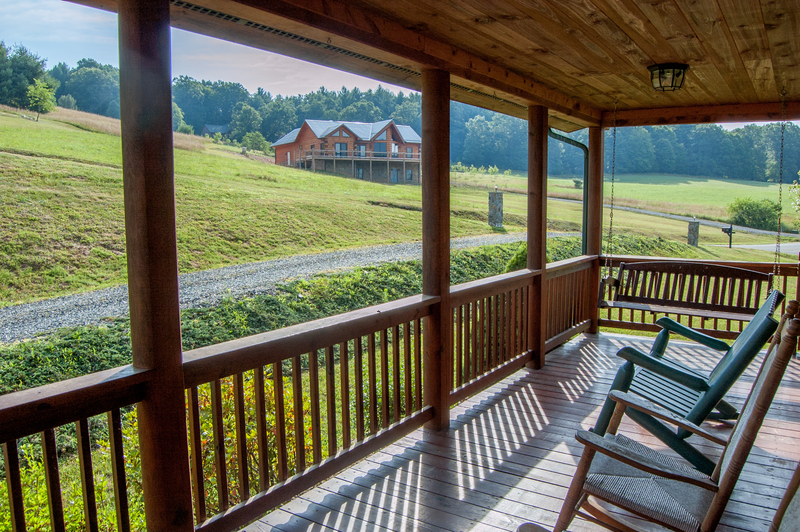 From the wide rocking chair porch you'll see acres of green countryside, and a quaint pond with swimming dock. Although the soft mountain breezes are likely to keep you cool, we've also outfitted your vacation get-away with central air conditioning and ceiling fans. This home is beautiful, inside and out, in a secure, gated community, with plenty of off-street parking. 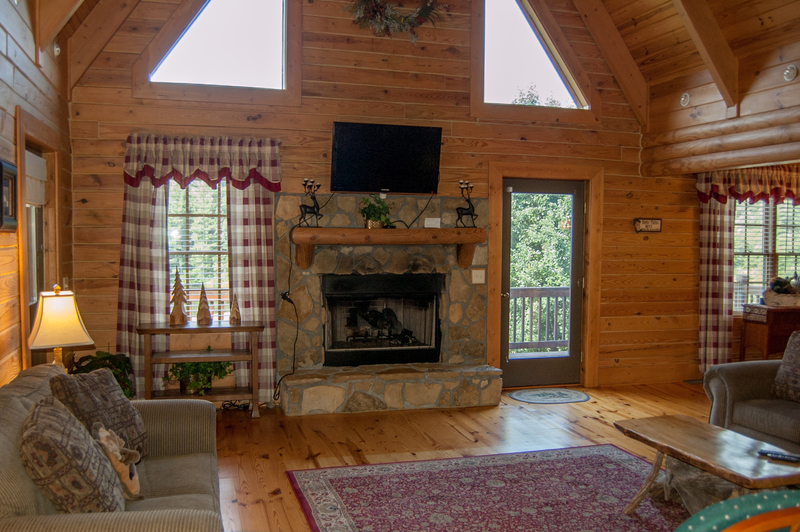 The Black Bear Cabin is conveniently located in the Jefferson mountains, in the heart of the High Country. From this home base you can easily explore and enjoy a huge variety of attractions and outdoor recreation. The New River State Park is next to the cabin's subdivision where you'll find great hiking trails, just minutes from your door. The quaint adjacent town of West Jefferson gives you restaurants and terrific shopping, including antique stores, art galleries and wine tasting. This is small-town Americana at its finest. There you'll find the famous Ashe Co. Cheese Factory, where you can watch cheese being made. Their old-fashioned country store also offers delicacies like homemade fudge, ice cream, salsas and local jams. Yum! Explore all of Main Street, and you'll feel like you've stepped back in time. There's even an adorable old movie theater. Drive a little further to Boone or Blowing Rock, for an even wider assortment of dining, entertainment and shopping options. Tour the campus of Appalachian State University, or visit our craft breweries. And remember that here in Blue Ridge Country, the journey is as satisfying as the destination, with gorgeous scenery at every turn. In the winter enjoy skiing, snowboarding, snow tubing or ice skating at one of the many area resorts. 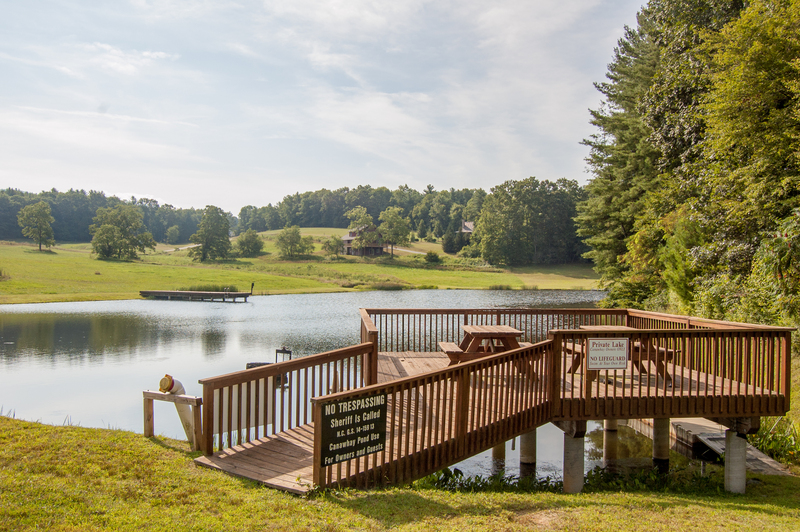 In spring or summer, the New River offers tubing, kayaking, canoeing and fishing. 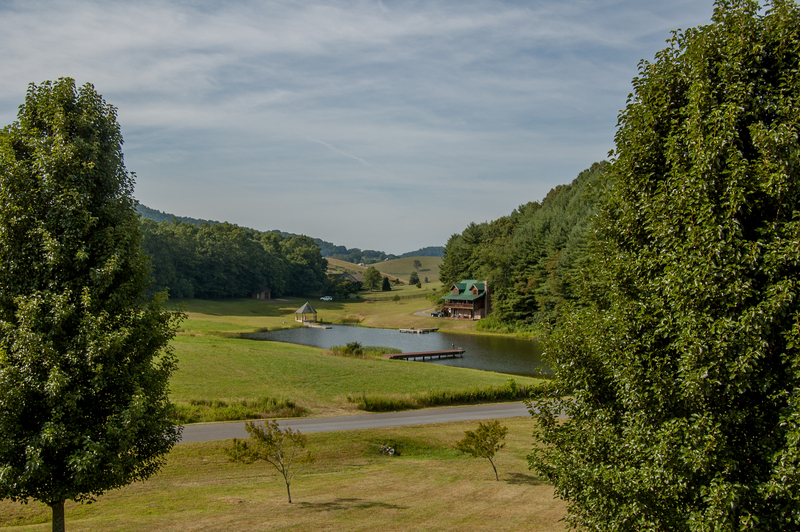 Warmer months are also a perfect time for horseback riding, and sightseeing or bicycling along the Blue Ridge Parkway. West Jefferson also has one of the region's most scenic and well-maintained public golf courses, Mountain Aire. Or - just sit on the porch and feel the stress of the city melt away? "Great cabin and location! We would definitely stay again. Loved it!" 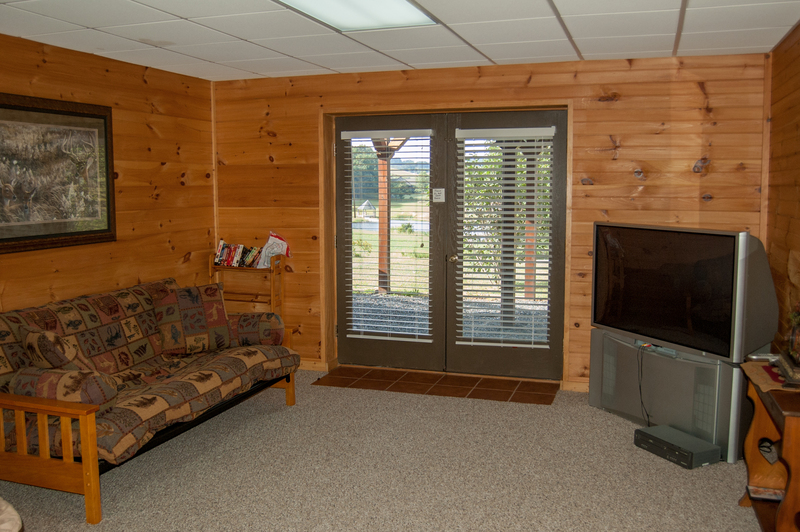 "We were very pleased renting Black Bear Cabin because of peace and tranquillity the setting provided. We enjoyed coffee on the deck and retreated to the porch in the heat of the day. At night we stoked up a fire in the well-placed fire pit. 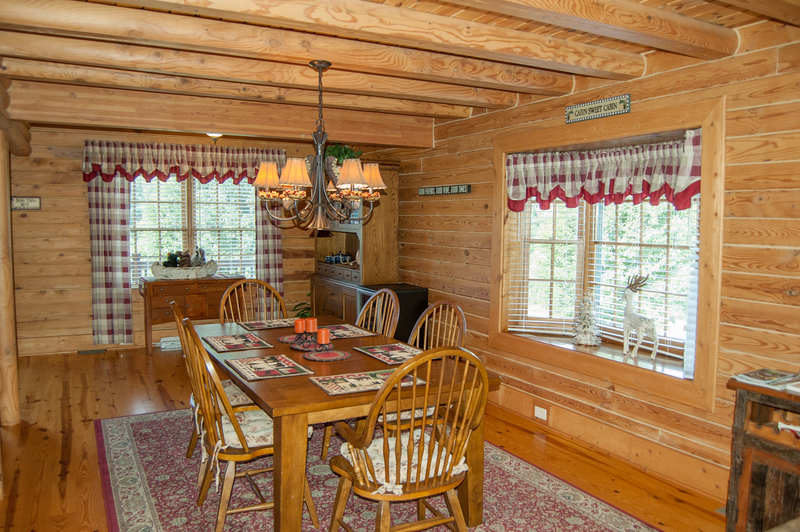 The cabin itself is rustic w/o being overdone. The homes are well spaced and we felt secure being in a gated community. We highly recommend this home as a place to unplug. " "Beautiful home and scenery. So tranquil, relaxing and romantic. " 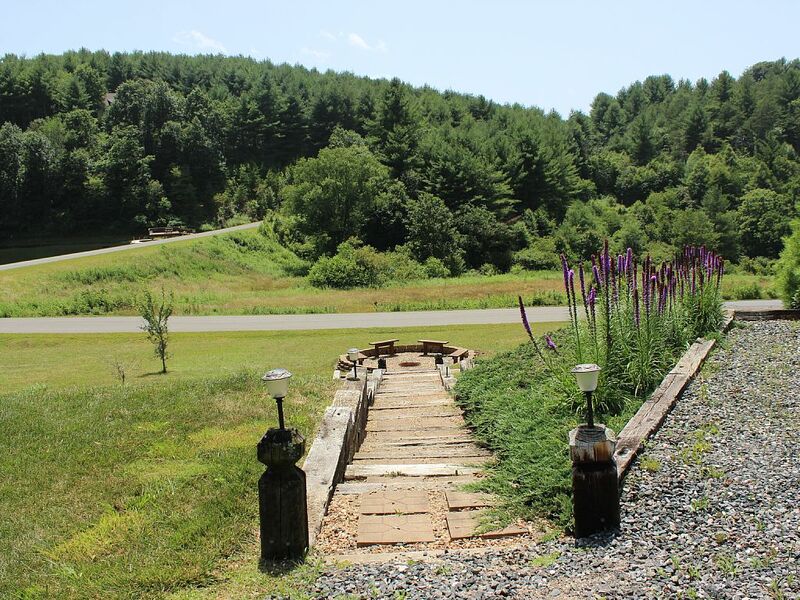 "My family and I travel to Ashe County every year and have rented other properties in the past. This cabin is by far the best property we have rented. We were very happy with the location and the condition of the cabin. Loved the fact that we were closed to the river and the New River State park. We will definitely plan to be staying here again next year and will recommend the location to our friends and family." "Dads and kids weekend was wonderful. Took a river float nearby and plenty of room for kids to play around cabin. Guys enjoyed a quiet fire after the children fell asleep. Will definitely return." 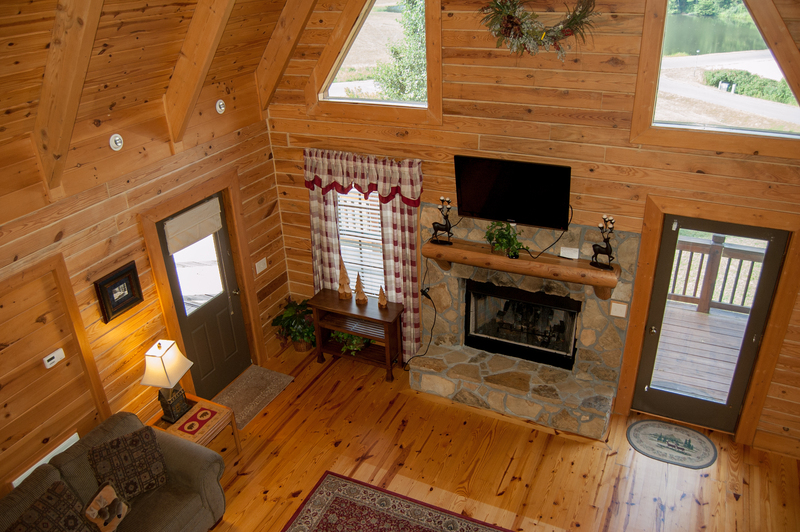 "Everything about our stay at Black Bear Cabin was beyond our expectations. 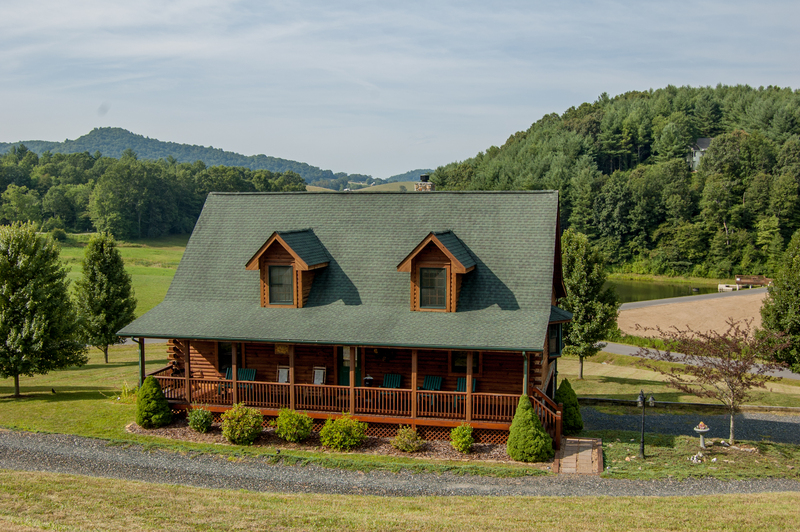 We tend to choose cabins that are remote and private and we were hesitant to stay in a gated community, but WOW, the lots are so large and you feel like you are the only ones there. 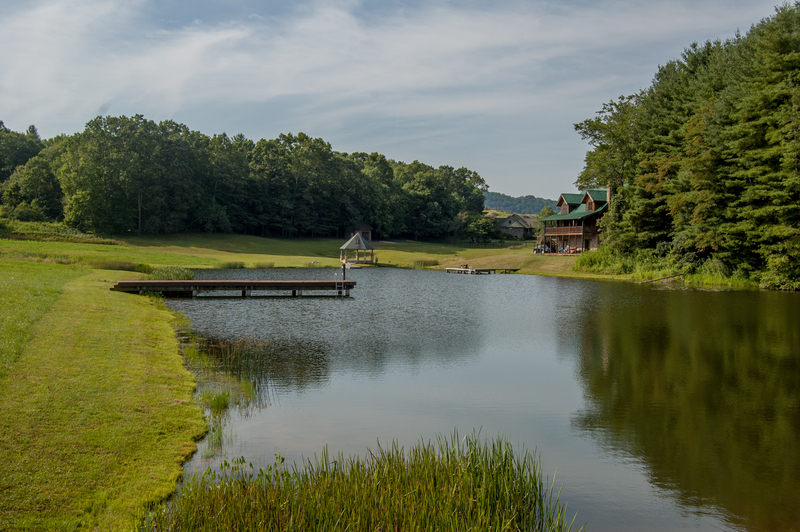 Great view of the pond, and we really appreciated the owner having Netflix! We watched all of our favorites. Large fireplace, king size bed..... could go on. Large house and plenty of room for larger families. " 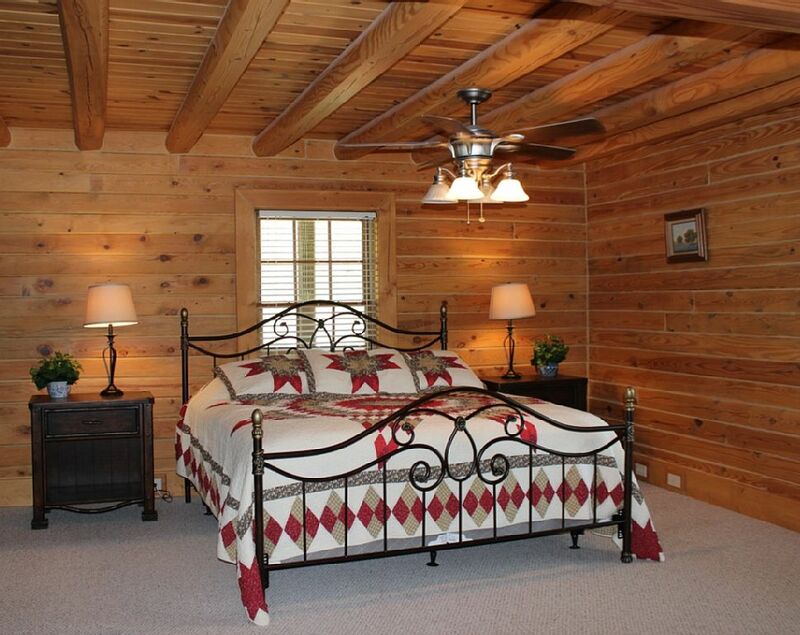 "The cabin is beautiful, had everything we needed. Lots of space, gorgeous view. The beds could definitely use an upgrade for comfort. Overall we had a wonderful time and would definitely stay again!" "It was great time for everything. Beautiful interior and nature. " 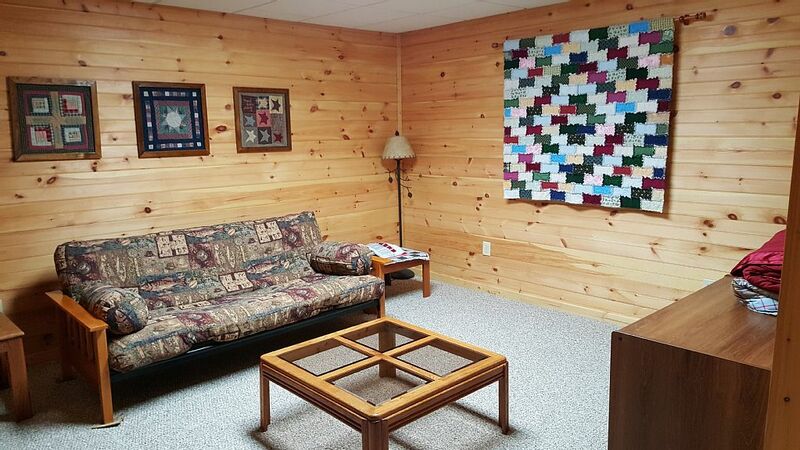 "We enjoyed our weekend at Black Bear Cabin immensely. We had 4 adults and 3 children in our party and we had plenty of room. The kids loved hanging out in the finished basement and we all enjoyed some star gazing around the firepit. Well equipt kitchen and easy distance to West Jefferson for shopping. The house is in a gated community with good distance between the houses for privacy. 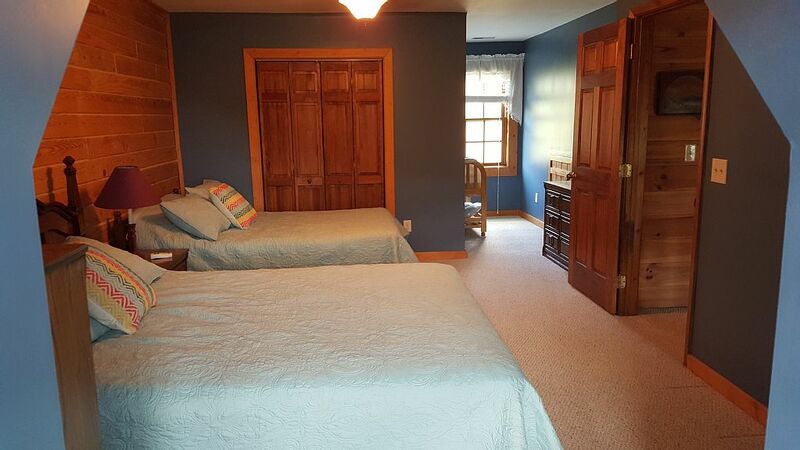 We definitely recommend this rental." "Having a vacation home that is sometimes used by others, I appreciate the precautions and thought the owners have in securing their personal items while providing guests with the essentials for a nice stay. My family and I traveled from California to NC for a family wedding and the cabin was perfect in terms of size and location. We were appreciative of the clear house rules and requests and made certain we gave the same care as if the cabin were our own - no shoes in the house, vacuuming the main level several times, wiping out dishes and cooking pans before rinsing so no food would go into the sink and drain, securing the cabin before going and coming. - It was specified in the agreement that all windows should be locked. However, on arrival we found windows closed but unlocked. It may be because the top pane drops a fraction when the windows are opened so when closed the lock does not engage in the slot at the bottom of the top pane. - There are only seven dinner forks. Don't want it thought that we lost one. - The beds were comfortable but the pillows have seen better days. - We left some unopened non-perishable items in the pantry we could not transport home. Hope the owners can enjoy. Thank you very much for making our stay stress free and enjoyable. If the occasion comes around again where we want to use your services and this specific cabin, it is hoped we are welcomed. Thank you very much. "The rental was fantastic. The house was just what we were looking for! The rooms were amazing and I was so happy that the linens, towels, and kitchen equipment was included. It made the stay so much nice. We can't wait to come back again!" "The cabin was great. Everything they said it was. Perfect stay. Will definitely do it again. " 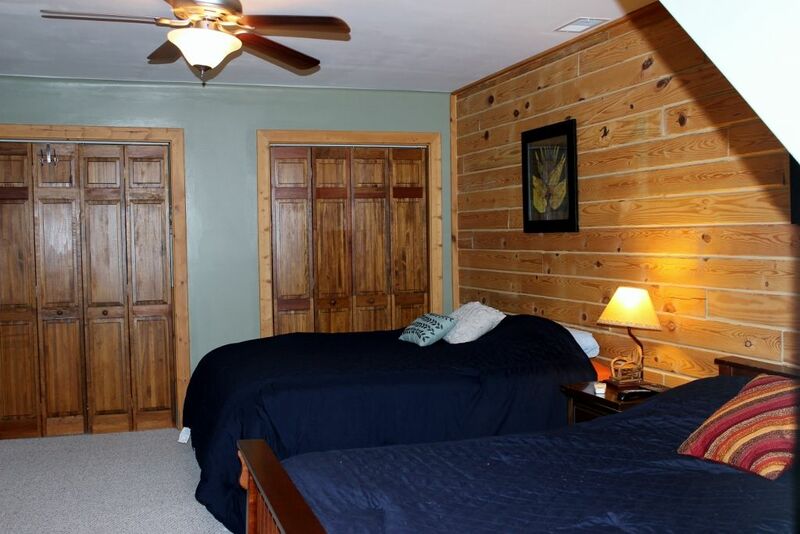 "Our family of eight enjoyed our stay at Black Bear cabin. The rooms and beds were comfortable and the overall cabin was clean. A few suggestions for future, however. The main level air conditioning was not working properly, but our time there was thankfully cool so we didn't call for service. Also more washcloths would be helpful for that many people and bathrooms. If there is any way to include more lighting and a vent fan in upstairs bathroom in shower, that would be nice. The main living area was so large and accommodating for our family. We loved the kitchen and all the utensils, cookware, bakeware, dishes. We couldn't think of anything that was missed in the kitchen. The development felt safe and our little boys enjoyed riding bikes and playing games in the yard. We hope to stay again next year!!! The downstairs area was perfect for play area for kids. The big box of Thomas trains and track was a HUGE hit for our boys! " "For the price, I was expecting something to be amiss; after two days in the cabin with my family, however, everything went perfectly. The cabin itself was beautiful, the surroundings were beautiful, and the cabin itself was stocked with everything that was needed. The only complaint is the fee for laundry cleaning and trash disposal. Seeing as how the dumps are closed on Sunday (our check-out date), we were unable to dispose of all of our trash and were subsequently billed for the excess trash. Additionally, we are permitted only two loads of unwashed laundry before being billed. Seeing as how there are five bedrooms and three-and-a-half bathrooms, the sheets and towels piled up so quickly that we had to begin doing laundry the night before our check-out in order to avoid being billed."